The Margaret River region in Western Australia is full of wineries to explore, over 200 to be exact. For most visitors to the region, visiting a number of wineries is high on their to-do list. While going it on your own is certainly one way to get around, another is to make the most of your time, and let us book you onto one of our great official wine tours. Why not sit back and let someone else do all the hard work, while you sample some of the best wine, beer and food our region has to offer. With an ever increasing number of tours now available, it can get very confusing on which one will suit your needs and wants. So with over 10 years experience helping our guests find and book the right tour for them, we have tried to make that process a little easier. In this post I have put together our top 5 tours. 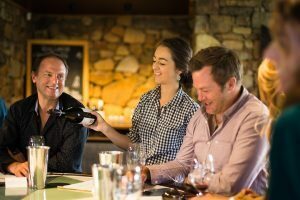 Offering 23 years of experience touring in the Margaret River region, Margaret River tours is our go to tour for those that love all things wine. Visit up to 6 of our regions best small and large wineries – Lunch at one of our 5 star wineries*- plus a gourmet share platter- chocolate and cheese tastings. Recommend for those that love their wine. When you want to know what the locals know then the family based McLeod Tours is the way to go. With over 30 years experience in operating their own tours McLeod Tours offer to show you the best of it all! Visiting 4 wineries, lunch at one of our micro breweries, coffee, olive oil, chocolate and cheese tastings. Recommend for those wanting a great overview of what Margaret River has to offer. Pickup and drop off from our guest house. Laughter, fun and knowledge makes Bushtucker tours a brilliant Australian day out. 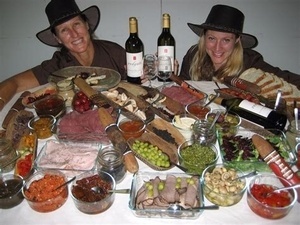 Offering a unique lunch served at one of the wineries with optional Wild foods with your lunch. Visiting 4 wineries, micro brewery, over 40 samples of food and drink plus wild foods lunch. Recommended for those wanting an Australian adventure. 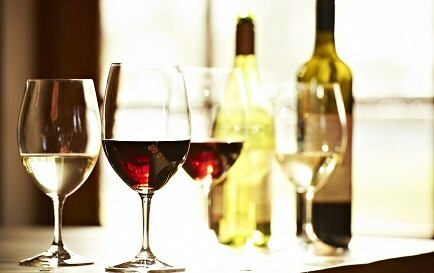 Vintage wine tours the tour for lovers of food and wine. 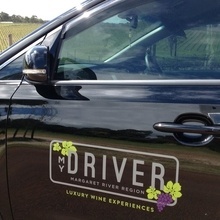 Tony offers personalized service and tastings while visiting some of Margaret Rivers world class wineries. Welcome to the Margaret River Wine Region. Full & Half days tour available. Visit 5 wineries, lunch at the famed Leeuwin Estate, venison, olive oil, chocolate and cheese tasting. Recommend for lovers of food and wine. Prices from $65 (half day ) $130 (full day including lunch) per person. 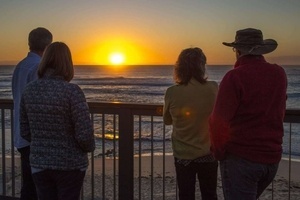 Margaret River Discovery Tours is the tour for people who don’t do tours! It’s the wine and nature lovers’ experience with the works. Limited to only 6 guests and hosted be WA Guide of the year – Sean Blocksidge – this is an all-inclusive wine tour with a difference, often referred to as “the ultimate Margaret River Experience. 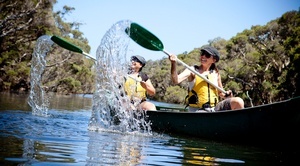 Canoe a section of the Margaret River, walk and explore the coast on the cape to cape walk trail, reflect on the aboriginal heritage and culture, enjoy a gourmet lunch including a behind the scene wine tour and meet the winemaker. Recommended for lovers of adventure. For those that like to go it alone Rob Dewar at MYDRIVER Margaret River offers short day (5 hrs) and full day (7 hrs) private touring experiences, where you will be travelling in the company of only family and friends and with your itinerary matched to your expectations. Rob has extensive wine and hospitality experience gained from over a decade of managing one of the regions founding winery cellar doors and including a trusted network of exclusive contacts to draw from in the Margaret River wine region. Looking for a safe and comfortable airport transfer? Well look no further than MYDRIVER Margaret River Transfer Service. Our Perth city and Perth airport transfer service caters for up to seven (7) passengers in luxurious comfort, providing ample stowage room for luggage. The journey spans 270 kilometres which will take approximately three hours, depending on traffic and any scheduled stops on the way. We hope this guide has inspired you to book a great day out exploring our wonderful wine region. All our tours include complimentary wine and food tastings and we offer a free booking service for all our preferred tour operators.